Please feel free to explore our entire website to discover all of the great products, services and information we have to offer. 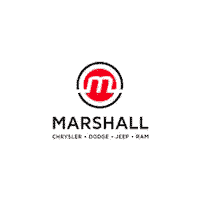 Marshall Chrysler Dodge Jeep Ram always offers competitive pricing for all your automotive needs and customer satisfaction is of our top priority. Stop by and experience it for yourself! We are conveniently located at 140 Spears Lane, Crittenden, KY 41030. As always, we look forward to serving our friendly neighbors throughout Crittenden, Lexington and Cincinnati, KY!